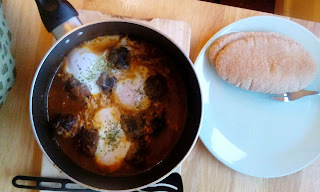 Onindo's cooking lab : Meat balls are Amaze balls !!! My experiments with cooking; negative and positive results included. Meat balls are Amaze balls !!! 1. 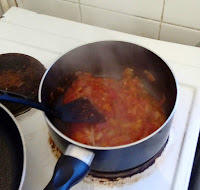 In a mixing bowl take the mince and add all the above mentioned spices. 2. Mix really well (preferably use your hands to mix them thoroughly) and form small balls of your preferred size. 3. 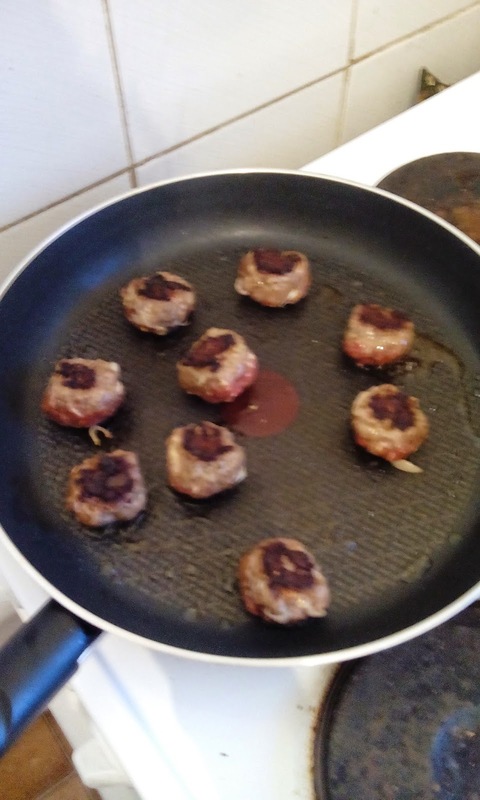 Get a pan nice and hot, splash a bit of olive oil and fry the meat balls until nice brown all over. 4. In another pan, alongside, heat a bit of oil and saute chopped onions and garlic with parsley. 5. Once a bit translucent add chopped tomatoes, cumin powder, salt and pepper. Mix well. 6. Add a bit of water and let it boil to form a thick sauce. 7. 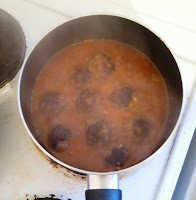 After it has come to boil, add the meat balls carefully in the sauce and let it boil away for 30 mins approx. Keep checking that the sauce does not become too thick and gets stuck at bottom. 8. 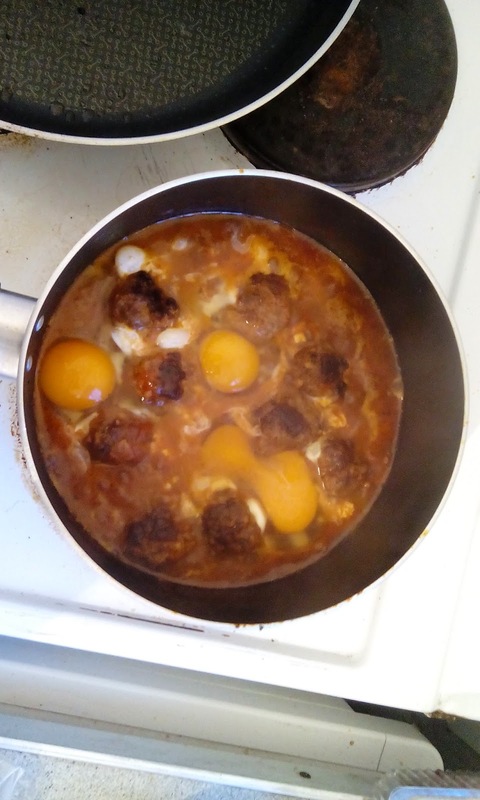 After 30 mins and the meatballs are nicely coated with the tomato sauce, crack eggs into the gravy. Do not disturb and let it cook for 3-4 mins. 9. Sprinkle some parsley or coriander on top. 10. Serve with either pitta bread, naan or maybe cous-cous. Interestingly, these meat balls are also known as Kofta or Kefte. In India, we also have vegetarian-balls in creamy gravies. And the chinese food we get in India has something similar, Manchurian, we call it. I am not sure about its authenticity though. 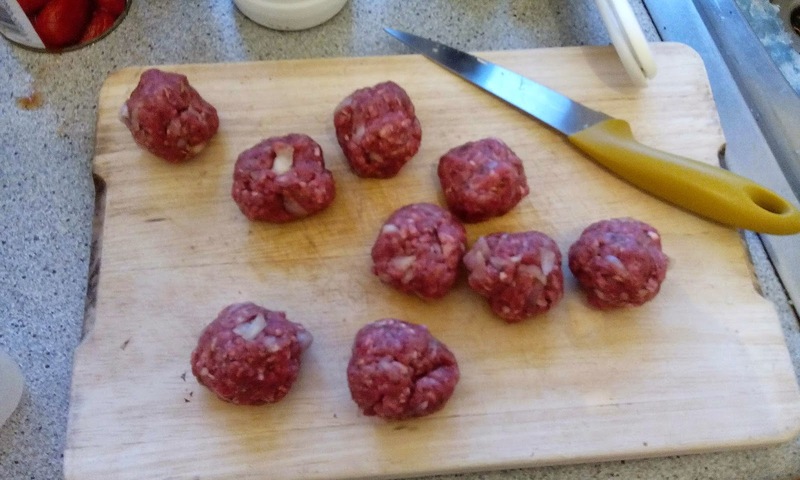 However, it's amazing how these meatballs could roll over the face of earth and cover such a distance (west end of Europe to east end of Asia)! Well, hope you enjoy cooking this.